This photo shows NAC Power Armour troopers from the Queen's Own Rifles, one of the regiments of the Royal New Anglian Light Infantry. 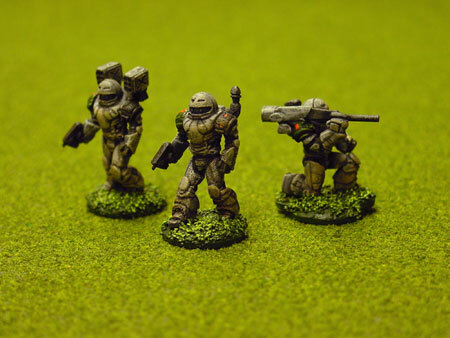 These figures are from the New Anglian Marines range ("SGA" codes) by Ground Zero Games. Painting and modeling by Adrian.